Students can only play on weekdays during school hours from 7 AM to 2 PM after which the students' user accounts will be automatically locked. 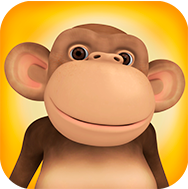 The schools or parents can buy full access from www.10monkeys.com, which gives unlimited access to the game. Please note that only points collected in Math World between 7 AM and 2 PM on weekdays will be added to the competition.